RARITAN, N.J., Jan. 31, 2019 -- The Janssen Pharmaceutical Companies of Johnson & Johnson today announced a worldwide collaboration and license agreement with MeiraGTx Holdings plc (NASDAQ: MGTX), a clinical-stage gene therapy company, to develop, manufacture and commercialize its clinical stage inherited retinal disease portfolio, including leading product candidates for achromatopsia (ACHM) caused by mutations in either CNGB3 or CNGA3, and X-linked retinitis pigmentosa (XLRP). Further, the companies have formed a research collaboration to explore new targets for other inherited retinal diseases and further develop adeno-associated virus (AAV) manufacturing technology. "Janssen is excited to expand our portfolio with the addition of innovative assets that have the potential to improve sight or prevent the progression to blindness in inherited retinal diseases which currently have no treatment options," said James List, M.D., Ph.D., Global Therapeutic Area Head, Cardiovascular & Metabolism, Janssen Research & Development, LLC. "We look forward to partnering with MeiraGTx to develop these assets and explore new potential targets for inherited retinal diseases." Under the terms of the agreement, MeiraGTx will grant Janssen an exclusive worldwide license to certain clinical assets in MeiraGTx's inherited retinal disease portfolio. The companies have also formed a research collaboration to develop a pipeline of products addressing novel gene targets, giving Janssen the exclusive option to license new treatments for other inherited retinal diseases. "This collaboration builds on Janssen's long-standing heritage of addressing the unmet needs of patients around the world," said Mathai Mammen, M.D., Ph.D., Global Head, Janssen Research & Development, LLC. "Through this collaboration we look forward to deepening our expertise in gene therapy and leveraging our breadth of research and development expertise to help bring forward new treatment options for people living with inherited retinal diseases." This press release contains "forward-looking statements" as defined in the Private Securities Litigation Reform Act of 1995 regarding the potential benefits of the collaboration and license agreement with MeiraGTx Holdings plc. The reader is cautioned not to rely on these forward-looking statements. These statements are based on current expectations of future events. If underlying assumptions prove inaccurate or known or unknown risks or uncertainties materialize, actual results could vary materially from the expectations and projections of Janssen Research & Development, LLC, any of the other Janssen Pharmaceutical Companies and/or Johnson & Johnson. 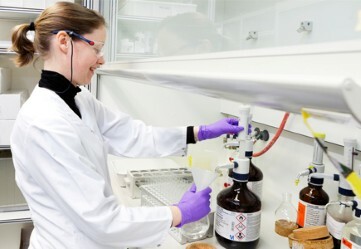 Risks and uncertainties include, but are not limited to: challenges and uncertainties inherent in product research and development, including the uncertainty of clinical success and of obtaining regulatory approvals; uncertainty of commercial success; manufacturing difficulties and delays; competition, including technological advances, new products and patents attained by competitors; challenges to patents; product efficacy or safety concerns resulting in product recalls or regulatory action; changes in behavior and spending patterns of purchasers of health care products and services; changes to applicable laws and regulations, including global health care reforms; and trends toward health care cost containment. A further list and descriptions of these risks, uncertainties and other factors can be found in Johnson & Johnson's Annual Report on Form 10-K for the fiscal year ended December 31, 2017, including in the sections captioned "Cautionary Note Regarding Forward-Looking Statements" and "Item 1A. Risk Factors," and in the company's subsequent Quarterly Reports on Form 10-Q, and other filings with the Securities and Exchange Commission. Copies of these filings are available online at www.sec.gov, www.jnj.com or on request from Johnson & Johnson. Neither the Janssen Pharmaceutical Companies nor Johnson & Johnson undertakes to update any forward-looking statement as a result of new information or future events or developments.